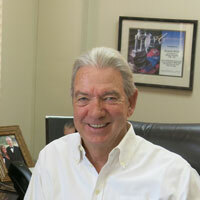 Rich began originating loans in 1988, joining Intermountain Mortgage in 1993. He has been the Senior Loan Officer here ever since. Specializing in residential financing for many in the local community as well as second home owners and investment property buyers. He is one of the foremost experts in resale restricted property lending and is a regular consultant to the agencies offering these properties for sale. In addition Rich handles loans for Condos, Condotels, Reverse mortgages, one time close construction loans and borrowers with complicated financial situations. In his spare time he has volunteered extensively throughout the community and enjoys hobbies of golf, hiking, fishing and snowshoeing with his wife and children. Call him anytime for a FREE mortgage checkup!